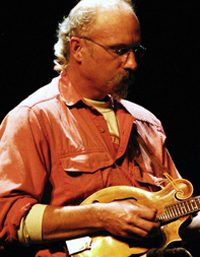 Eric Jones plays mandolin (and guitar)(and is a vocalist) for the popular western slope Bluegrass and Swing band Big Timbre, and has been a cornerstone of the regional music scene for many years. He was a founding member of the Irish-American band Keltika, and his music reflects a fondness for an eclectic mix of traditional Americana styles. A former student at the Steve Kaufman Mandolin Kamp in Tennessee, Eric continues to explore the many nuances of mandolin expressions.